A major artificial intelligence (AI) conference will be held in Africa in 2020—because the organizers admit it will be more difficult for African researchers to get foreign visas to attend it elsewhere. Organizers of the International Conference on Learning Representations will host it in Addis Ababa, Ethiopia in 2020 as part of a bid to ensure more collaboration with scientists on the continent. Stringent visa processes and requirements often mean it’s difficult for African scientists to travel abroad and collaborate with their peers on projects or at conferences. It’s a problem that many Africans face when traveling globally: only three African countries rank above average on the 2018 index of the world’s strongest passports. Yoshua Bengio, often regarded the father of deep learning and one of the conference’s organizers say foreign governments “could make it easier” for African researchers to visit. “It’s a lottery, and very often they will use any excuse to refuse access. This is totally unfair,” Bengio told MIT Technology Review. “It is already hard for them to do research with little resources, but in addition if they can’t have access to the community.” Hosting the conference on the continent, he claims, is “a way to counter” the lack of access for local scientists. Indeed, Africans looking to attend an artificial intelligence event in Canada this year have reported visa difficulties. As the global AI race takes shape, African countries are also trying to make up ground. Google has built an AI lab in Accra, Ghana and the African Institute for Mathematical Sciences in Kigali, Rwanda has launched the continent’s first dedicated master’s degree program for machine learning and artificial intelligence with backing from Facebook and Google. Ethiopia is often seen as one of the continent’s leading hubs for artificial intelligence. The lack of access to global events that are important for networking and exchanging ideas is one of a string of challenges scientists and technologists on the continent face. Closer to home, governments simply aren’t paying enough attention—and by extension, resources—to research in general. Indeed, the average sub Saharan Africa government spends less than 0.5% of GDP on backing research—four times less than average for OECD countries. 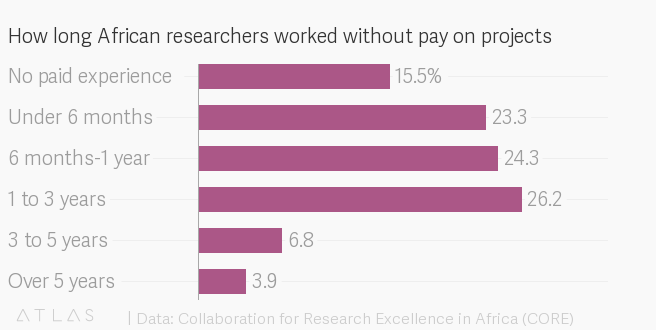 And research still doesn’t rank as a rewarding field for its scientists: a recent paper by the Collaboration for Research Excellence in Africa (CORE), showed that up to 85% of the 400 plus African researchers who answered its survey had worked for free in order to enable research projects. All Things Ethiopia is Ethiopia's premier destination for #EthiopiaNews, #Ethiopia, #EthiopianNews, Ethiopian Breaking News, Ethiopia & Ethiopian Entertainment. Always current, always engaging. Daily Ethiopian Breaking News Provider. Copyright © 2018 Allthingsethiopia.com #EthiopiaNews, #Ethiopia, #EthiopianNews, Ethiopian Breaking News, Ethiopia & Ethiopian Entertainment.